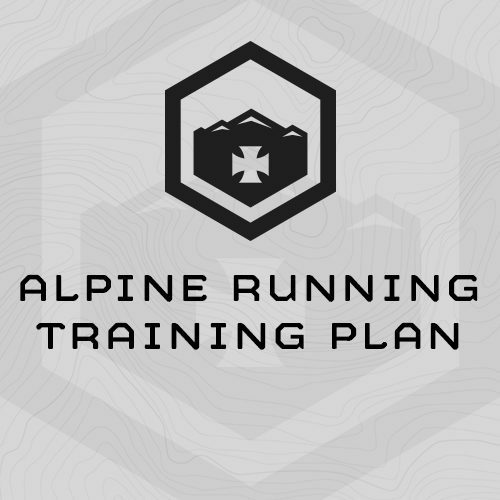 This is an intense, 8 week, 6-day/week training plan designed to prepare athletes for fast, technical, alpine ascents or other high alpine running missions marked by significant vertical gain and loss, high overall mileage (15+ miles) loaded movement (pack weight of 10-25 pounds) and off-trail travel to include 3rd and 4th class terrain. Alpine Running is different than mountain running in that the movement is loaded, travel more technical (off trail), and the athlete is unsupported. This program combines gym-based posterior chain, upper body and mid-section strength, loaded vertical climbing and unloaded decent, threshold track repeats, loaded flat runs, and long trail runs. Week one includes two days of strength training, 3000 feet of vertical movement, a 4-mile running assessment at a track, 5 mile loaded run and 7 mile trail run. The program increases in difficulty from there. Note: If possible, dump water at the top and run down unloaded.